High-density mobile storage can be utilized in virtually every industry to help maximize space to its full capacity. We can help you get started. The companies we work with have a million answers to that question—and high-density mobile storage turns wishful thinking into reality. 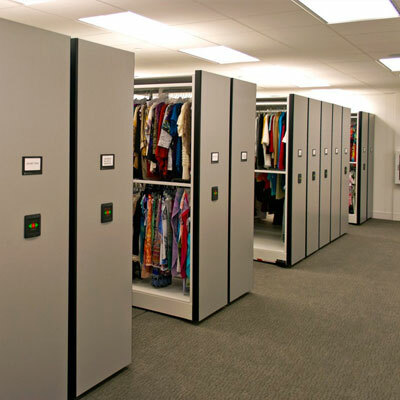 Whether it’s simply more space for additional items or creating room for additional operations or collaborative spaces, compact mobile storage eliminates fixed aisles by placing stationary shelving and cabinets on carriages that move back and forth. This allows 100% accessibility to your items, all while uncovering new space that will have a positive impact on your business. 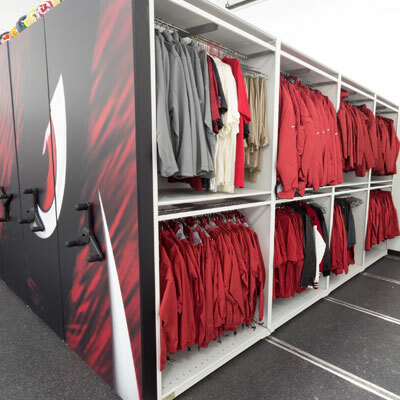 Any type of storage units or shelving can be mounted on mobile carriages—4-post shelving, Case-Type shelving, and cantilever shelving —as well as the existing shelving and cabinets you already own. At the Travis Air Force Base in Fairfield, California, a weapons storage solution was needed. The requirements? The system would need to provide quick, organized access to weapons—and at the same time, possess the security needed to prevent those weapons from movement, vibration, and abrasion. A high-density mobile storage system was used in conjunction with a heavy-duty weapons rack to accomplish this feat. A University Law Library was experiencing a constant influx of books and materials, students, and faculty—and needed to maximize space. 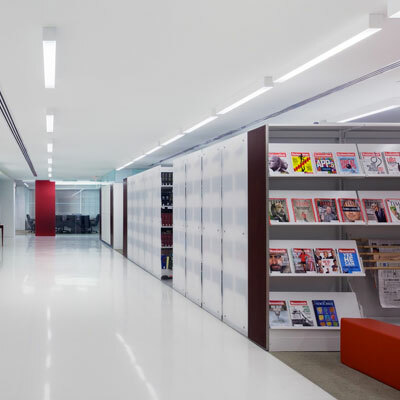 By utilizing a high-density mobile shelving unit paired with cantilever shelving, the library was able to maximize the height of the system and eliminate the aisles to house the entire collection in one central location, while accommodating for future collections. With new state statutes, increases in reversed convictions, and advances in DNA testing, law enforcement agencies are keeping evidence longer than ever before. This contributes to a major lack of storage space in property and evidence rooms—and because of this, many police departments in Northern California have transitioned to using high-density mobile storage as a way to compact their current evidence inventory and create space to house additional items. 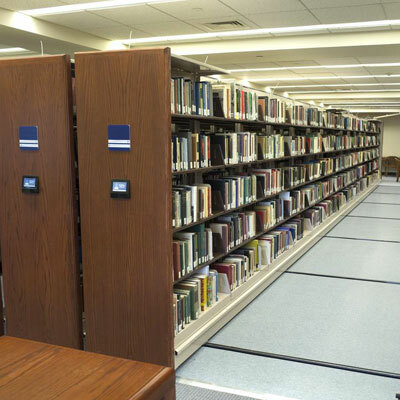 Interested in learning how high-density mobile shelving could work for you? Contact our storage experts for an analysis of your space.